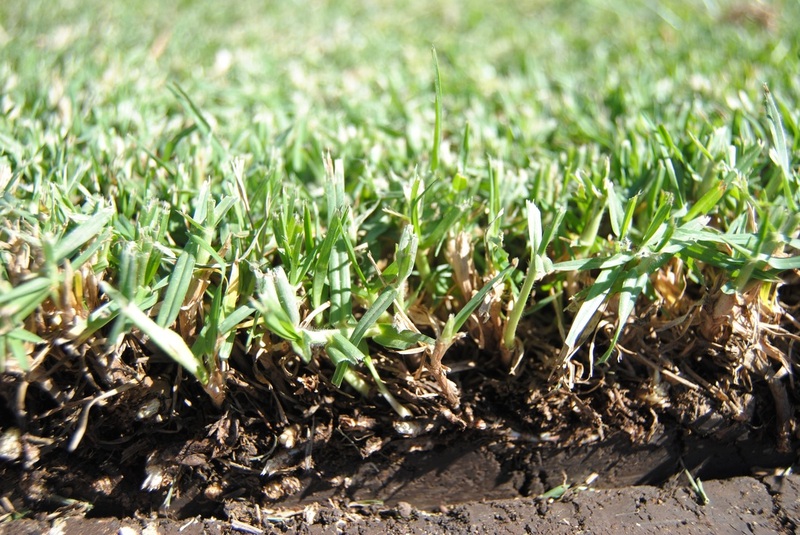 Kikuyu is a light green grass with a runner style growth with strong repair capabilities and wearability. It is affordable and durable, which is the reason it is one of Australia's most popular turf varieties for domestic and commerical uses including sports grounds, ovals and schools. It grows well in many areas around Australia including coastal areas and the black soil plains. It needs full sun and does not perform as well in shaded areas as other grasses. Fertilizer regularly with nitrogen rich product (CK88 or similar) during the growing period throughout Spring and Summer. Frequent mowing during Summer is required to maintain a maniquired look and to ensure it doesn't become thatchy. Kikuyu is invasive and will creep over the top of, and cover other plants, so keep the garden edges trimmed. Kikuyu goes dormant with the onset of the cooler months. Frosts will render the kikuyu dull, but will become green again when the temperature rises in Spring. The leaves consist of a leaf sheath at the base, which encloses the stem, and a spreading leaf blade. They are often relatively short (1-30 cm long and 3-7 mm wide). At the junction of the sheath and leaf blade there is a sparse to dense covering of hairs . These hairs can also be seen on the leaves. 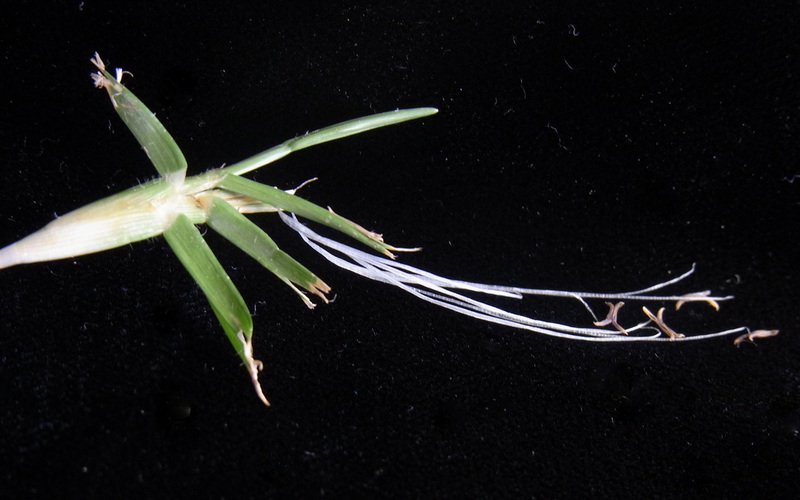 As the plant matures, it produces a network of jointed stems (stolons) that run above the ground. Underground the rhizomatous spread and run further producing a root base for the plant.